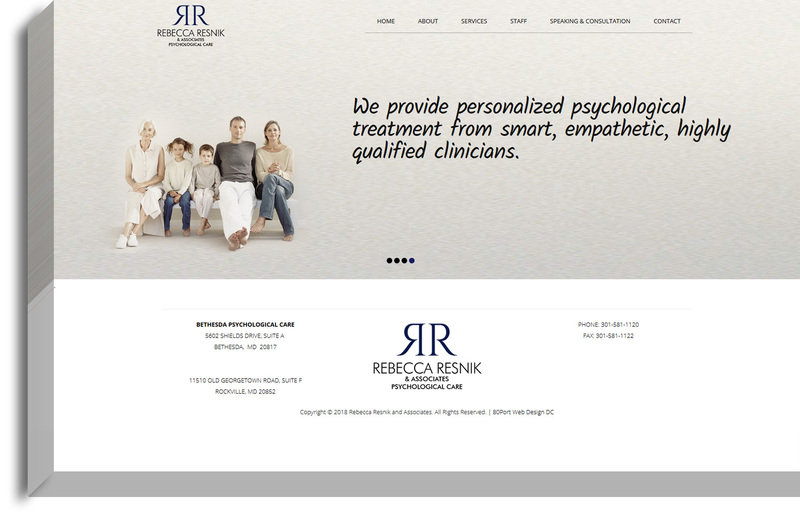 Rebecca Resnik and Associates, LLC, is trusted in the Bethesda area for providing excellent psychological care. Resnik and Associates’ highly-trained clinicians provide evidence-based care in a comfortable, supportive environment. 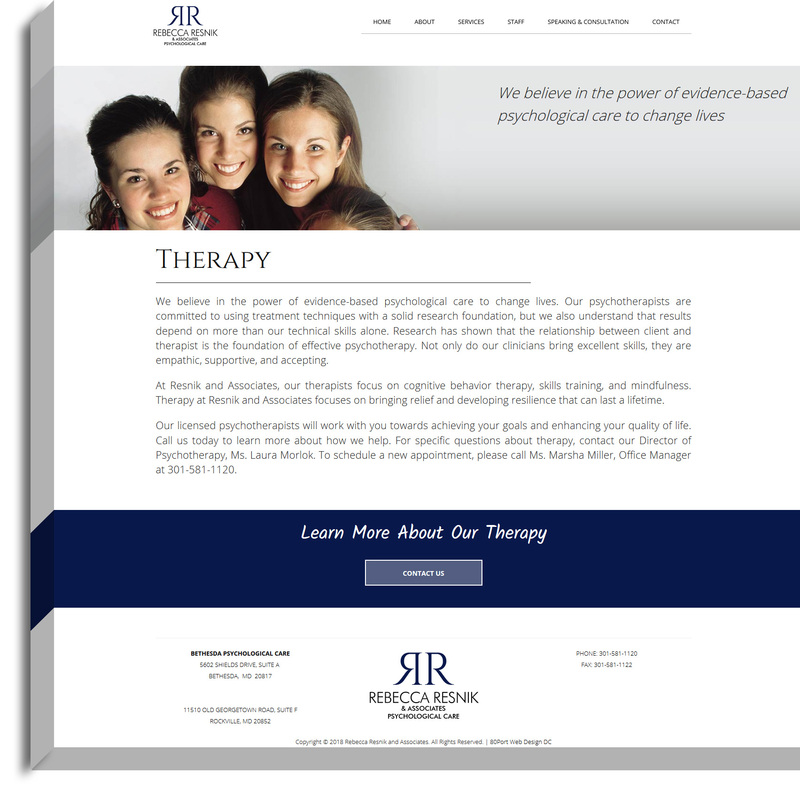 Resnik and Associates’ clients work with clinicians who have strong credentials. They know clients have high expectations. They also believe that choosing a highly qualified clinician does not mean having to sacrifice the quality of the experience. 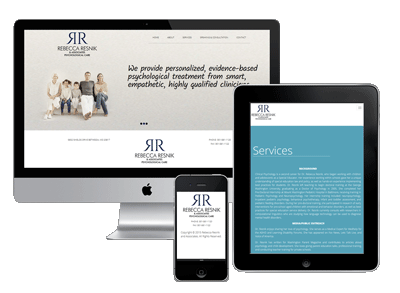 Resnik and Associates’ had a vision to showcase their practice through a modern, engaging digital presence. To make this vision a reality, Resnik and Associates’ enlisted the help of 80Port, its talented team of developers and marketing strategists. Key objectives were to showcase staff expertise, increase visibility, value, and brand recognition. 80Port got to work planning and designing an approach to revamp the online brand, website, and digital presence. 80Port designed an exciting and user-friendly responsive website that makes Resnik and Associates’ appealing for all demographics served. We determined an overarching strategy for making the site more engaging to drive conversions, working closely with Resnik and Associates’ team to create an experience that resonated with their target markets. 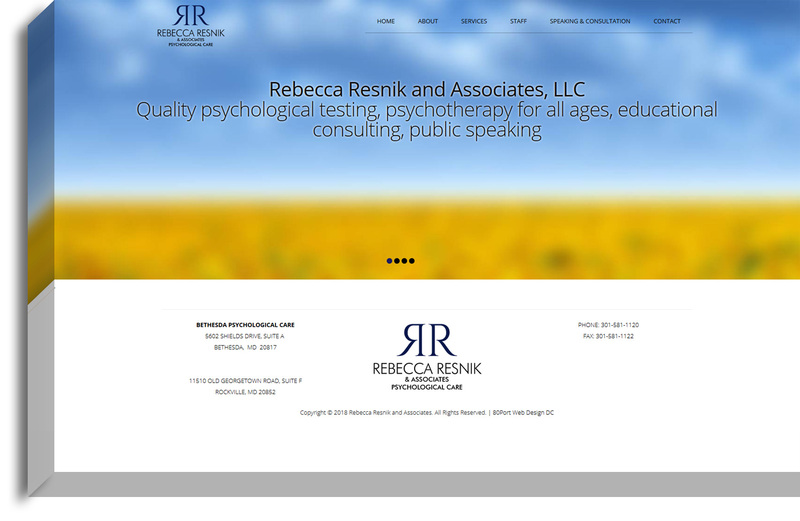 Rebecca Resnik and Associates - A DC web design and marketing agency, we offer design and marketing for DC businesses small and large. Our web design solutions give you the advantage you need to be competitive in today’s competitive digital landscape. Our offices are located in DC; we partner closely with our DC clients to offer cutting edge design and innovative digital marketing solutions. We build and elevate brands using expert digital strategy and exemplary web design. Through our design process, we discover hidden potential by understanding your identity and your audience.